Judging by the number of emails I've received about the Samsung Galaxy S coming to Docomo, I'd have to say that a lot of people are excited about the phone. I can see why: 1 GHz processor, Super AMOLD 4" screen, and good battery life. I've held off until posting until I heard something official. October 5th? As in one week after the official announcement? Way to build excitement, Docomo. As of today, it is not even listed as "coming soon" in Docomo's product page. There are some downsides to purchasing this phone, but these are of course personal preferences. Not ready for LTE, which is coming this December to Tokyo/Nagoya/Osaka. It is running Android 2.1, which is not the latest version Android 2.2 under a proprietary UI, meaning it will taken longer to get Android updates. The above linked review indicates that Samsung's UI is not as good as HTC Sense. I prefer the plain 2.2 interface anyway, though I know there are a number of you who like the Sense. Any phone bought before Docomo starts unlocking SIMs is not subject to unlocking (though you can always get it done through other means). Samsung lacks the huge (and I mean HUGE) hacking community that HTC enjoys - er, I mean that users of HTC products enjoy. And finally, Docomo also plans to bring several more smart phones (PDF; slide 23) to market in the winter-spring of this fiscal year. 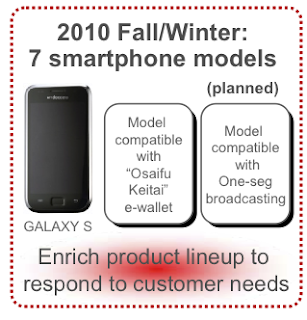 No details on what exactly, but there will be models with keiai-osaifu, one seg, and, presumably, LTE. Where did you see the date it will be sold? I couldn't find it anywhere. Thanks I wonder how much it will cost? I still have a year left on my contract so I will need to pay the full price. a strong processor and some battery life. sounds wonderful. 2.1? eh? pretty happy with cyanogenmod 6.0 so i guess it doesn't really matter. it seems that simple root/unroot options are out there for galaxy s.
it's good to see that docomo is moving in a way that will "enrich product lineup to respond to customer needs" - i wonder where they got such a crazy idea for this bold approach to marketing? Could it be that the 5th is actually the day when the phone will be announced but it won't be available before the end of the month? au just came out swinging as well. i'm planning on moving to japan in december. hope there's a beastly android phone with a keyboard soon. Actually, considering the past interactions between Au, Docomo, and Sharp in regards to smartphones, I would put my money on that being the mystery Sharp-made phone for Docomo. Either way its nice to see everybody finally making a concerted effort to bring out an iphone killer. Its about time they stop whining about not having them. Really is AU's phone, though that is not to say that a very similar handset isn't on its way to Docomo. I think my ht-03a needs an upgrade. Too bad can't run cm6 on that but as long as root and LauncherPro is available to replace the sucky samsung standard launcher I'm happy. That backside looks different... Is this the european version, one of the American ones, or something different? CM6 is coming. No stable mod yet, but there is an experimental build available. Yeah, I need to edit that. Komugi's post has a screenshot showing 2.2. Everyone was expecting 2.1 since that is what it is running on the models already released overseas. it indeed has both One-seg & FeliCa support, and I've heard it may be both CDMA and GSM compatible. froyo was running pretty damn smooth for a test unit. Thanks for the information. So, the Toshiba/Fujitsu pone has one seg and ketai-osaifu... what about infrared? And it was running 2.2 not 2.1? Were you at ceatec? I have a feeling that the domestic makers first offering of android phones is not going to be on par with makers like HTC and Samsung. yes, it has IR, and was running 2.1 (though my sources tell me they expect to deploy an updated to 2.2 post-release). i was at CEATEC, as a matter of fact. 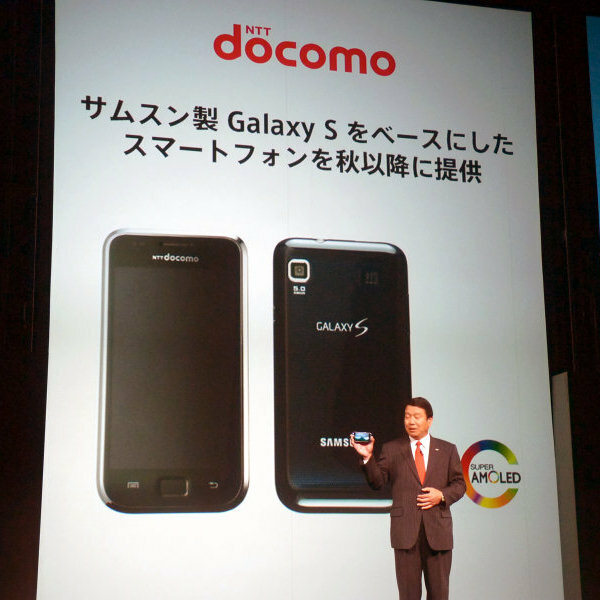 if the lines at the DoCoMo booth were any indication, the Galaxy Tab will be a hit seller, and perhaps the S as well. i agree with you about domestic vs. foreign smartphone offerings. the sad thing is that even as J-manufacturers' phones get better, they're still being outpaced by Samsung and HTC, not to mention Apple. i'm pessimistic that situation will change. What the domestic makers need to do, in my opinion, is leave the stock android UI in place, which is pretty darn good with 2.2 and only going to be better with gingerbread. That way the don't screw it up because, let's face it, they are known for their hardware designs, not for the ability at software development. If they did that, then it could be alright. But, I don't believe android has native support for the galapa-kei features like we've been discussing, so they would need to do some development (Shudders). Anyone find out what the "upgrade" price will be?...For ht-03 owners like myself who bought it as soon as it was out last year ?June '09? Unless there's something super-delicious like a multi-proc 1.5Ghz on the near-horizon?? I checked a non-Docomo phone shop and they actually sell it for 10.000 Yen less (if paid upfront). Anyone knows if there is any disadvantage of purchasing the phone and renewing the contract in a shop other than Docomo? Like, will my contract be somehow connected to that shop instead of Docomo? I bought my ht-03a from yodobashi for significantly less than I would have bought it at a docomo shop. Thanks. Surprising that people buy at Docomo shops then. I'll wait for a while and check out which price other shops offer. thanks for the price rundown. what was the 30000 yen discount for? indeed, it doesn't matter where you buy the phone. Echo what Ken found. Without actually being able to check _MY_ phone's account (it's in my wife's name), the DoCoMo shop inside Yodobashi Camera Yokohama estimated between ¥50,000 ~ ¥70,000. Even spread out over 2 more years...Yea, no thanks. For that price I can either wait for phones to be unlocked and buy a used one off eBay or LTE handsets. Especially considering _minimum_ Gingerbread platform is supposed to be 1Ghz. I just wish my HT-03a had more "oomph". My cooked Froyo ROM is a bit slow and clunky. Where did you hear the minimum specs for gingerbread? ht-03a tokyo, I think the 30.000 is what I would have had to pay upfront to buy the phone with one payment. Instead I chose to pay it of in 24 months, so right now there is about a year left. the wifi tethering is nice and locked up: asked about it because the pamphlet for it references wifi connectivity...just not that kind of connectivity. the staff was very nice in saying that the phone does indeed have the power to do it, but you'll have to modify it yourself. price is set at just under 40,000 if you agree to two years / 35,000 if you're willing to take a new number on. cheaper than i figured. I've seen a few threads on CM forums about random rebooting but haven't looked at them because the problem hasn't been happening to me at all. See my latest post on CM 6 nightly build 209 (and higher) - that should fix all your problems. Not enough RAM should not cause reboots, just make multitasking a pain because apps will get shut down when you switch out of them. thanks for the notes on the random reboots...hopefully the 209 nightly helps matters a bit (flashed today)...also did some digging around the CM forums on the issue - seems like there are a lot of potential reasons why it could/would happen. News out on the arrival of 3 more androids on AU: another sharp, the toshiba and a pantech. I'm happy to see that more options are finally coming through and that japanese manufactures are giving it a go...but I have to ask: where are all the htc phones? does anyone know if we can expect any to arrive anytime soon? Anybody bought the Galaxy S as an upgrade from an HT-03A yet? I was lusting after it today in Ito Yokado. plus the fact that Android 3.0 and a new docomo network seem to be just around the corner makes me want to hold out a little bit. From what I hear, the LTE will be pretty pricey. Around the 10,000 yen per month mark so I don't know that lack of compatibility will put that many people off. I've been looking for info, but haven't found anything reliable. In fact, I haven't found much speculation at all except for some random dude on 2channel saying it will be 8400. Where'd you hear that price? That said he also told me that tethering was free on wi-fi enabled docomo phones which the guys at the docomo shop contradicted. It's a pity as I was considering switching to docomo from softbank because I thought it would have meant that I could get rid of my pocket wi-fi, get a Samsung Galaxy S and have better coverage all at the same time. The docomo shop quoted me about 13,000 a month including their mopera service. Isn't that what they are charging now for tethering? If what you heard is correct, it sounds like they are really going to be marketing towards netbooks/cellular modems for notebooks - tethering. Maybe they won't have much in the way of handsets at first, so it will be primarily focused at computers... If so, I bet the price will drop within half a year. 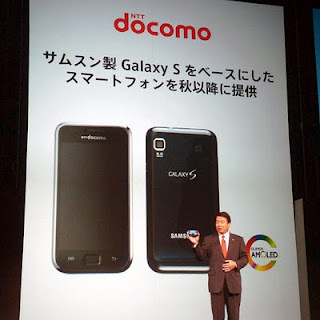 I played with both GALAXY S SC-02B & LYNX 3D SH-03C today at the DoCoMo shop. I'd take either. Anyone got positive confirmation from Japanese devs on successful rooting either one? So if stock is low.. I have two phones - a Softbank iPhone 3G (my #2) and a Docomo HT-03a (#1). The other day I saw the sexiest handset yet at Softbank - the HTC Desire HD. 4. Buy one of these http://rebelsimcard.com/virtu/index.php?page=shop.product_details&product_id=1084&flypage=flypage.tpl&pop=0&option=com_virtuemart&Itemid=1 , effectively SIM-unlocking the Desire HD putting it on my Docomo number. 5. Both phones' data goes over the router, I get a brand-new Desire HD on Docomo and I save myself about ¥7,600/mo. And I'm pretty sure the Desire HD can be rooted. ...anyone see issues with that? Side Question: How irritating is carrying pocket wifi? Can you dump the data plan when you buy the phone from softbank? You might want to confirm this. Some carriers require data plans with smartphones, I think. If you are an NTT flets customer, you can get the hikari portable as well. This might actually work (sorta). Softbank has a new data plan called パケットし放題S for スマートフォン, or Packet Lite for Smartphone. Up to 4650 packets - about 580KB (LOL) - is ¥390/mo.